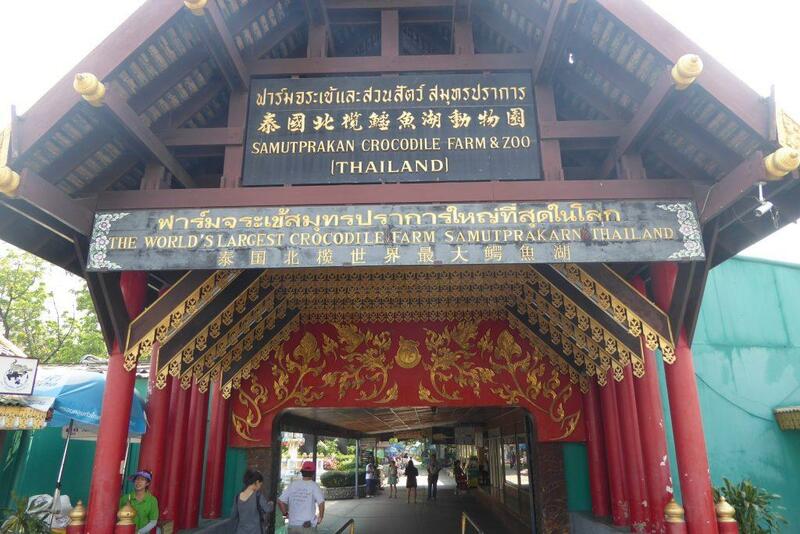 The world’s largest crocodile farm is in Samut Prakarn province just outside Bangkok but is easily accessible. 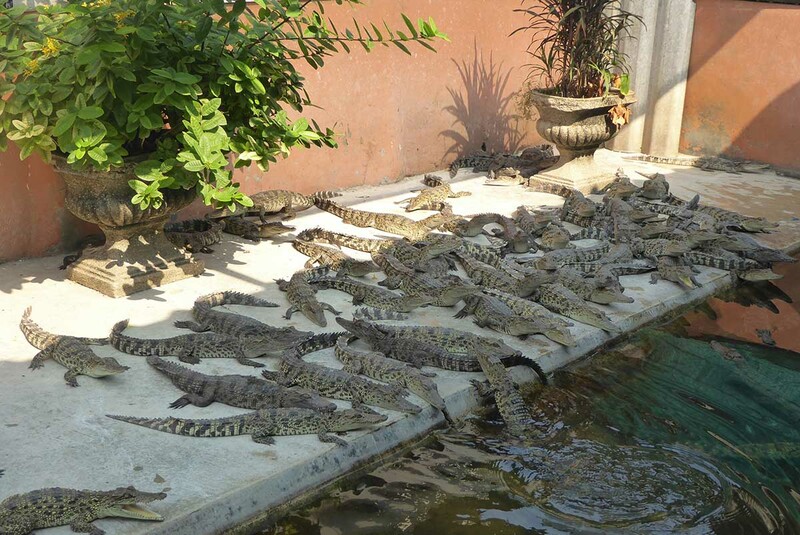 There are 60,000 crocs at the farm from babies to adult monsters. 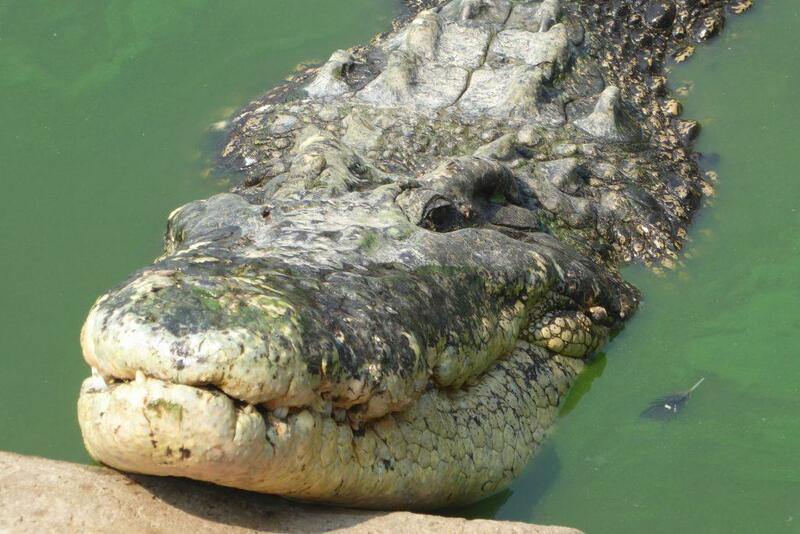 The farm contains the largest estuarine crocodile in captivity named “Yai” (big) who measures 6 meters. There are hourly shows featuring the usual head in the mouth, hand in the mouth and wrestling shows. There are also other animals on show including elephants, monkeys, snakes, lions, tigers, and bears. 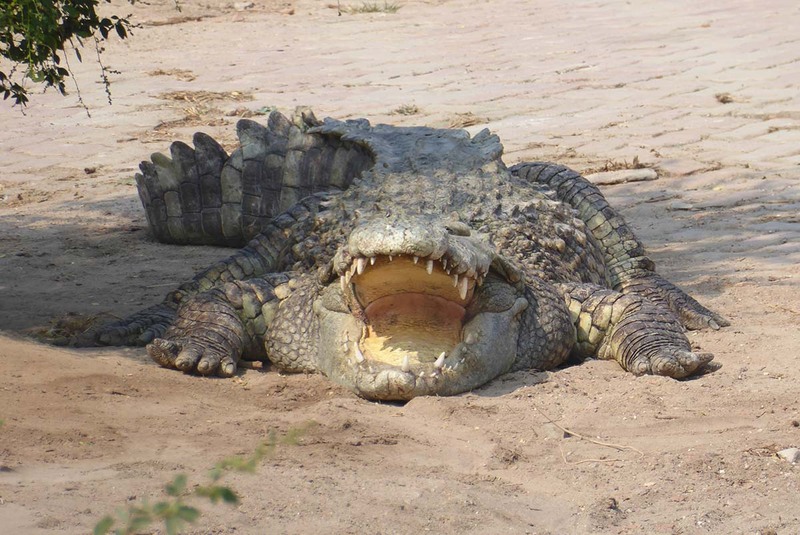 The crocs can also be viewed from a walkway which circles large open lakes where they live communally. You can buy buckets of meat to feed them if you so wish. 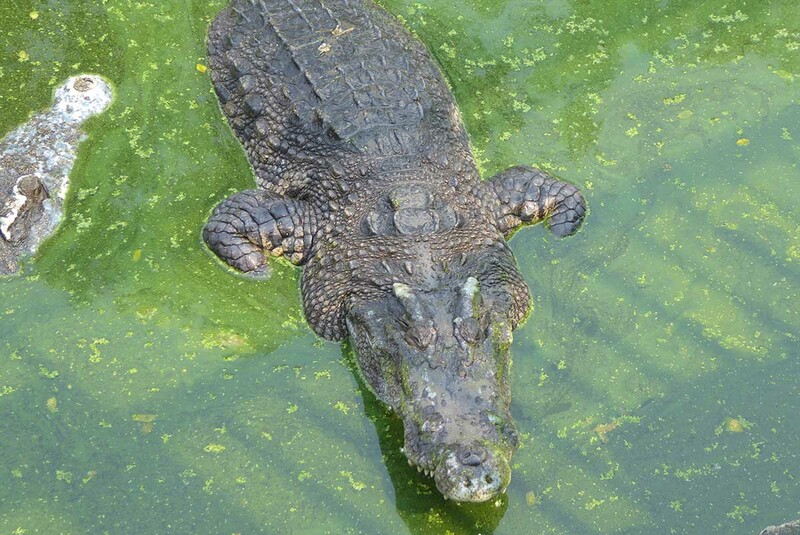 Many rare species of crocodile are kept in separate enclosures. There is also a nursery area with enclosures containing young crocodiles in various stages of growth. 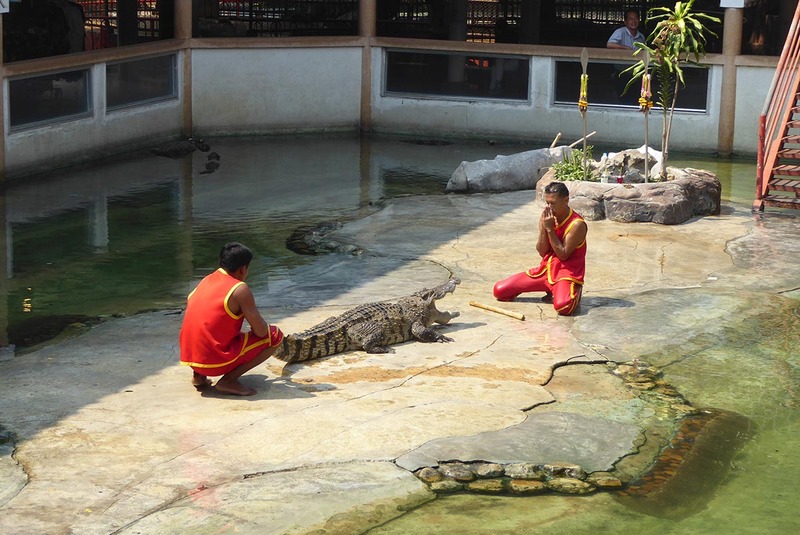 The daily Crocodile and Elephant shows are both held 7 times a day in special seated enclosures. There are also Monkey shows. 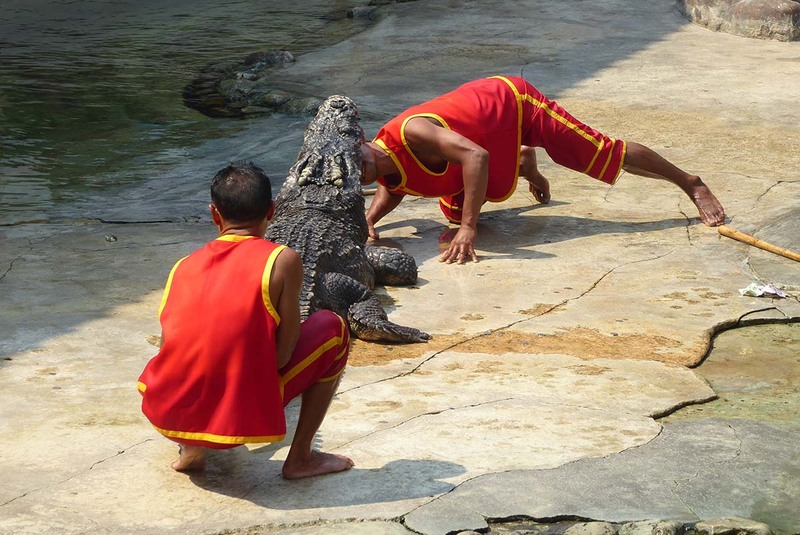 Crocodile wrestling show times: 09.00 10.00 11.00 13.00 14.00 15.00 16.00 daily. Elephant Show times: 09.30 10.30 11.30 13.30 14.30 15.30 16.30 daily. A small petting zoo features baby tigers, monkeys, pigs and other animals who you can hold and feed milk while having a souvenir photo taken. There is also a Dinosaur museum featuring models and skeletons. The farm is easy to walk around and signposted. There is also a mini-train if you don’t want to walk. 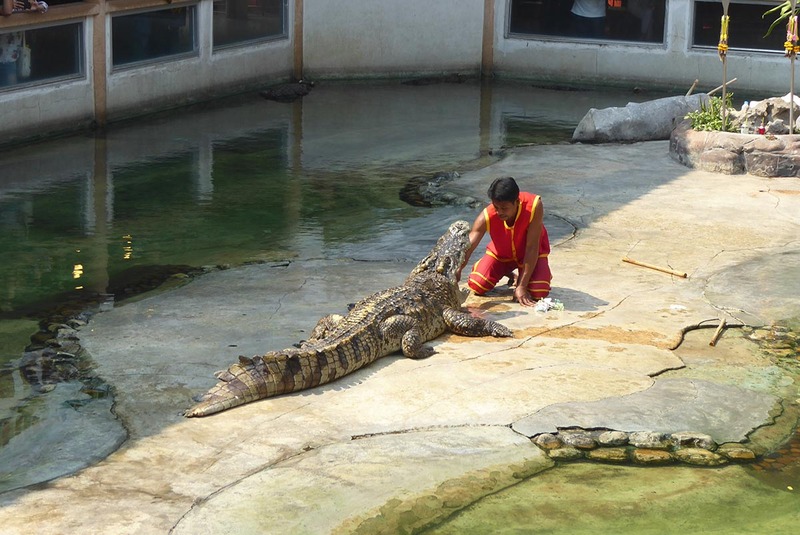 There are cafes and a restaurant which of course features crocodile on the menu. If you have strong feelings about animals kept in captivity this is not the place for you. 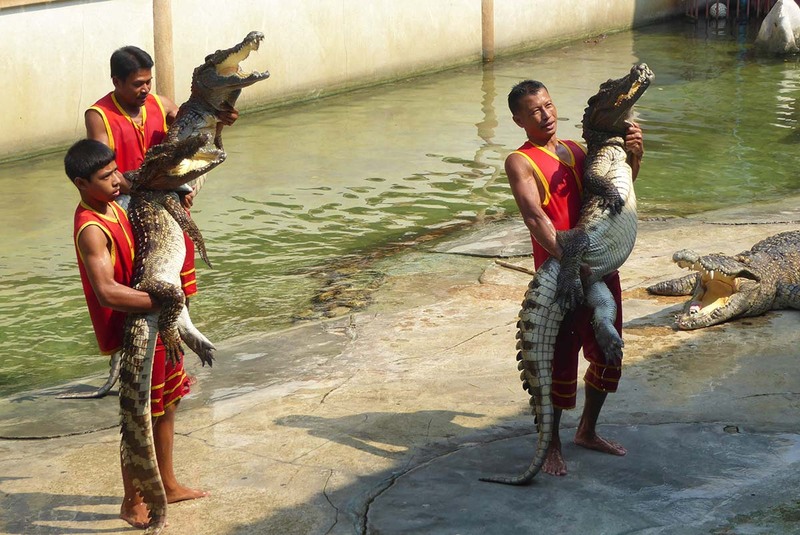 Apart from the crocs most of the other animals look a bit sad and their captive conditions are not good. Location: 555 Moo 7, Taiban Road, Samutprakarn. Admission: Adult 300 baht, Child 200 baht. How to get there: BTS Kheha Station (exit and take a taxi in the direction you just came from (5 mins about 40 baht). Bus: 511 Orange Air-Con from Sukhumvit Road or Khaosan Road.